Rubber Room Ramblings: JOIN ME FOR FAB FRIDAY IN THE RUBBER ROOM! 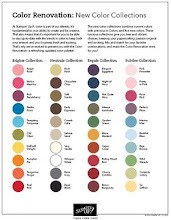 IT'S TIME TO RSVP FOR FAB FRIDAY! 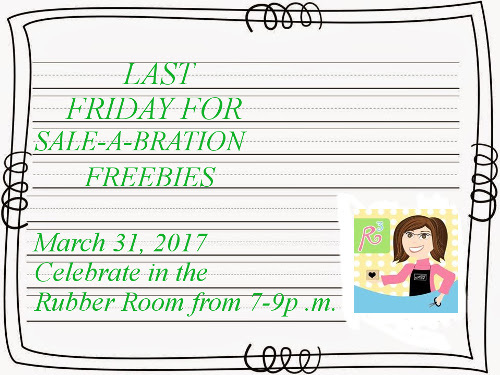 March 31st is on a Friday so let's end Sale-a-Bration with a REAL CELEBRATION! Instead of mourning the end, let's show SAB just a little more love. 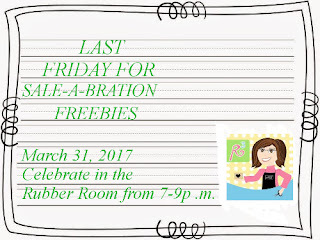 I will be hostessing a party in the Rubber Room on Friday, March 31, 2017 from 7-9 p.m. to honor those Sale-a-Bration products before they are gone for good. This great Rubber Room party will include door prizes, a dessert bar, games, an appearance by the prize wheel, make and takes, the big drawing for the FREE Big Shot and perhaps even a few surprises (because everyone likes a good surprise, or two). Cost to attend the party is $10; but if you place a minimum order at the party, you can enjoy all the fun for FREE! 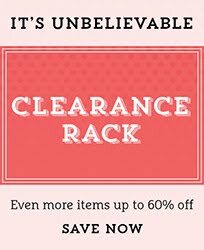 REMEMBER THIS IS YOUR VERY LAST CHANCE TO GET THOSE FREE SAB ITEMS!!! 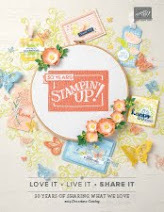 You must RSVP by March 26th, and let the party planning begin!